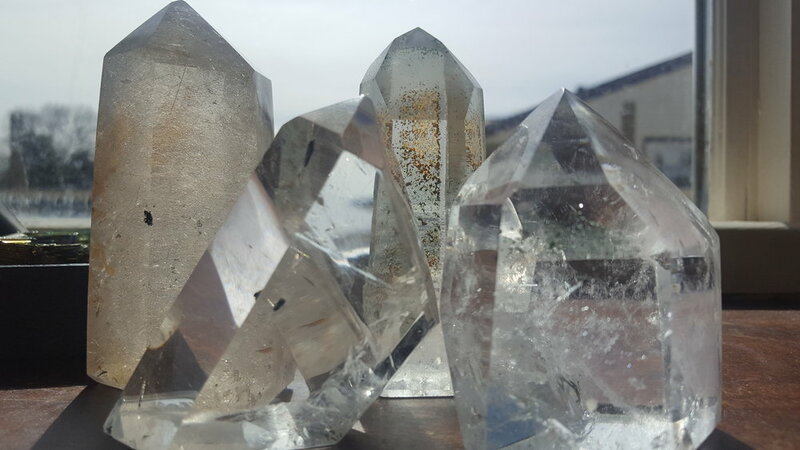 Welcome to the Colorado Crystal Curio website! We have a beautiful family owned and operated Rock and gift shop in Paonia, Colorado. We offer dozens of choices for every member of the family. Your one stop shop! Gems, Minerals, Crystals,Tumbled Stones, Polished Wonders, Books, Maps, Reading cards, Coloring Books, Rock Hounding Tools, Kid Stuff, Arkansas Quartz, Cacti, Succulents, Pots, Specialized Soil, Window Crystals, Jewelry, White Sage, Palo Santo, Sweet Grass, Incense, Just a taste! The beauty of our shop is you can walk in with A buck and leave happy. Can I tell you something I've learned in my short years here on this planet? Our brains are meant to expand all the time. One of my favorite things about this business is the knowledge. I am ever expanding. With that said I am excited to share knowledge with everyone who will listen and I am always open to learn something new. So stop in for your free tumbled stone and lets talk rocks! If you have any question please contact me by phone and leave a message. You may also send me a Email and I will get back to you as soon as I can.